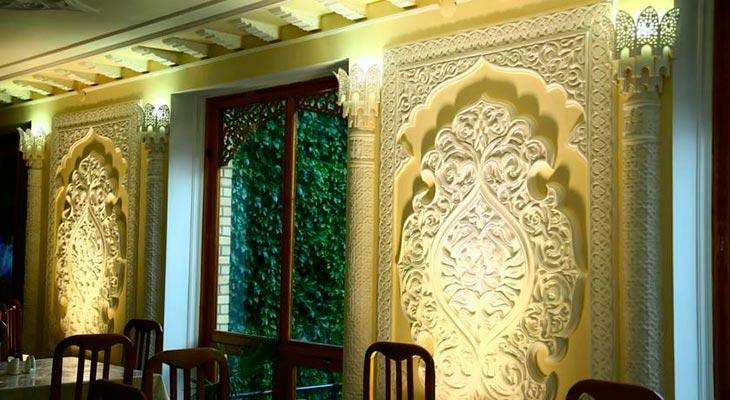 Caravan Serail amazes with the simplicity and harmony of lines. 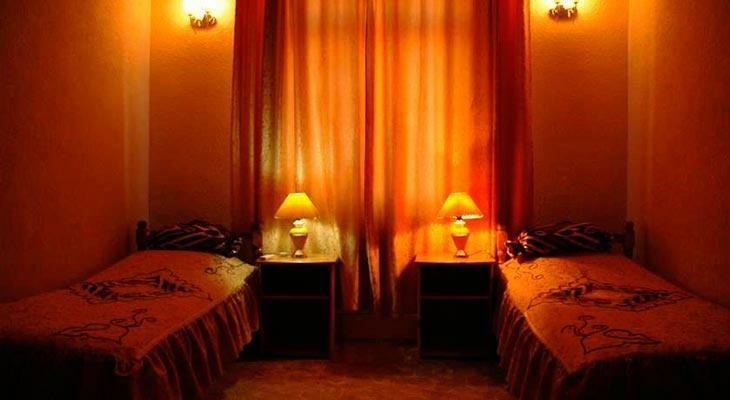 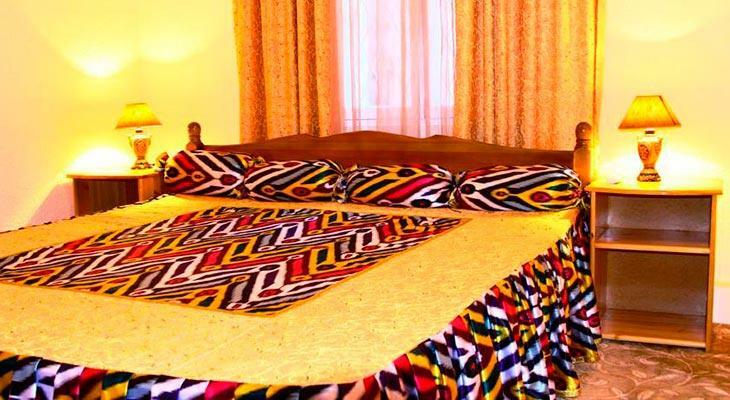 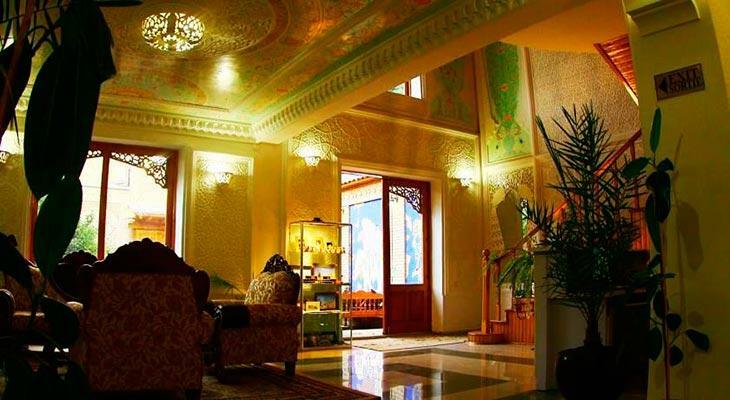 The design of the hotel creates the atmosphere of freedom, purity and lightness. 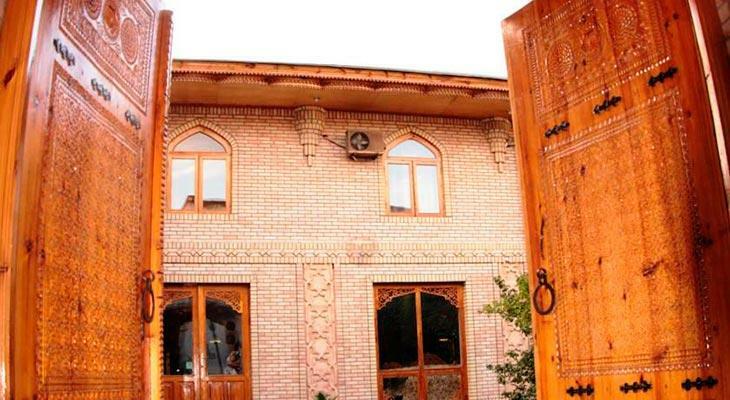 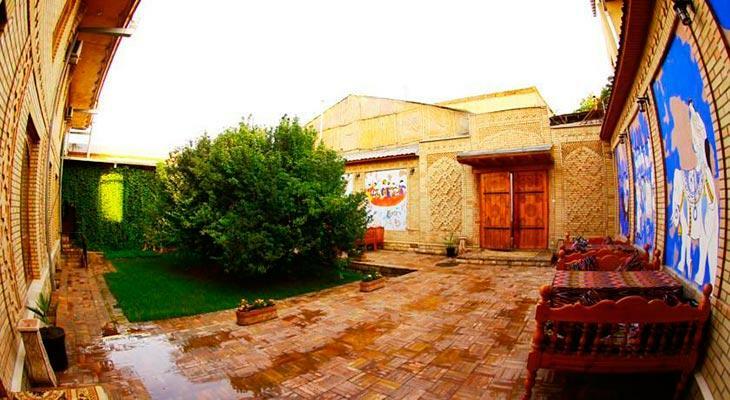 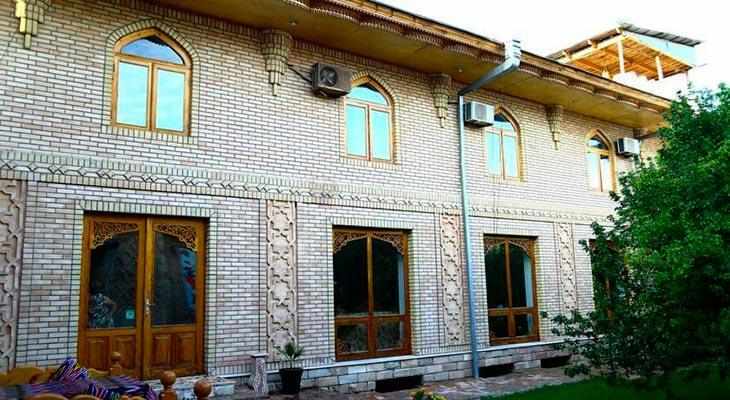 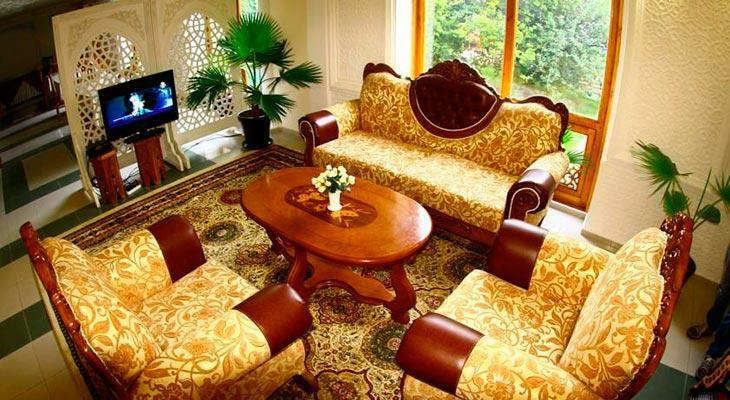 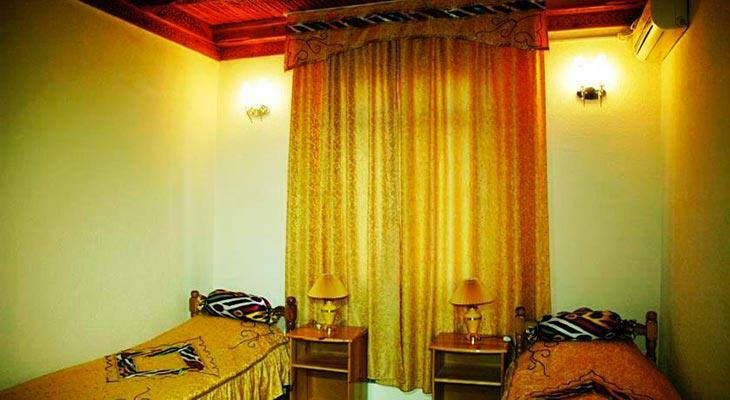 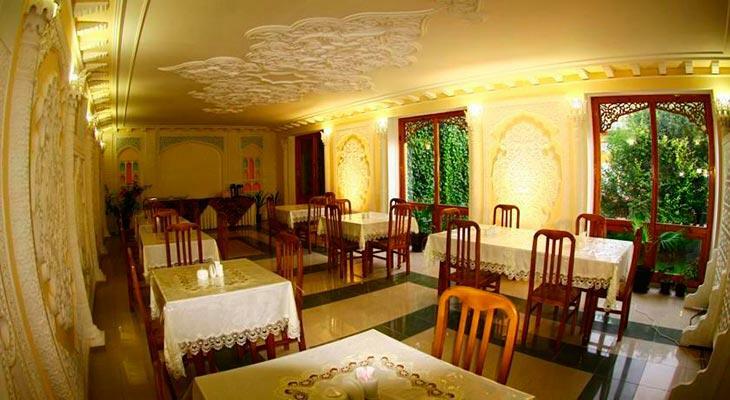 The interior is decorated with traditional types of applied arts of Uzbekistan such as carved wood and carved ganch. 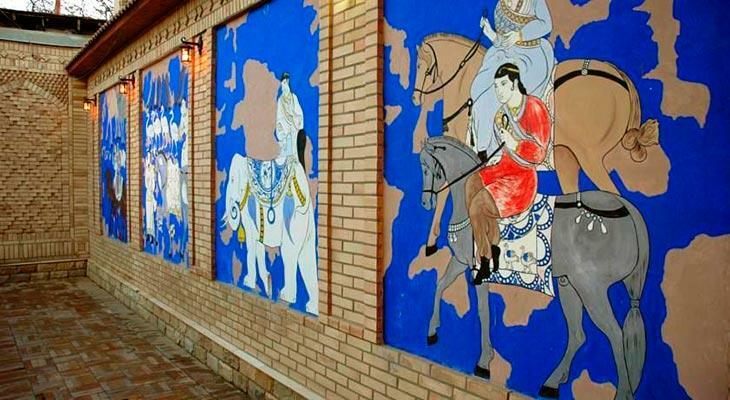 The walls of the inner yard are decorated with mural, displaying the ancient period of Samarkand.